We have special Spring promotions now available on our popular desktop multifunction models. These small office and workgroup units have been very popular in Southern Maryland comprising 60% of our total units sold in the first quarter. In many offices, these are the primary unit and they also make a great backup for our larger models. These multifunction printers (MFPs) come with our affordable maintenance plans and cost a fraction of the cost to print compared to competitive models. 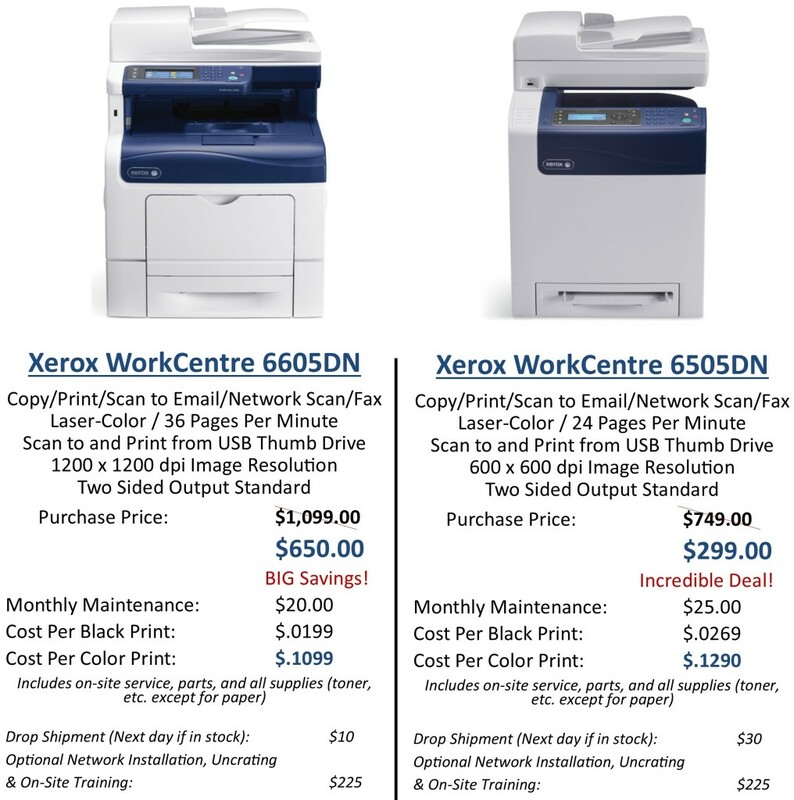 The Xerox WorkCentre 6605 is our most popular MFP with our customers in Southern Maryland. The 4.3 inch user interface makes it easy to perform scanning and other tasks! Contact us for more information on these incredible promotions!